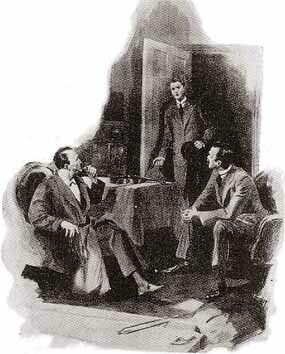 Mr. Bennett spoke in a tone of reproach, for it was very clear that Holmes was not listening. His face was rigid and his eyes gazed abstractedly at the ceiling. With an effort he recovered himself. “The date being?” asked Holmes. Our visitor was clearly annoyed at so irrelevant an interruption. “Well, Watson, what make you of that?” asked Holmes with the air of the pathologist who presents a rare specimen. 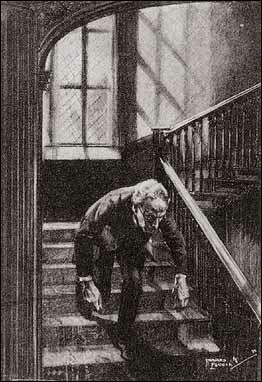 What Sherlock Holmes was about to suggest will never be known, for at this moment the door opened and a young lady was shown into the room. As she appeared Mr. Bennett sprang up with a cry and ran forward with his hands out to meet those which she had herself outstretched.